Luceco LED 5W Integrated Dimmable Fire Rated IP65 Downlight Chrome 450lm Warm White is rated 4.1 out of 5 by 11. 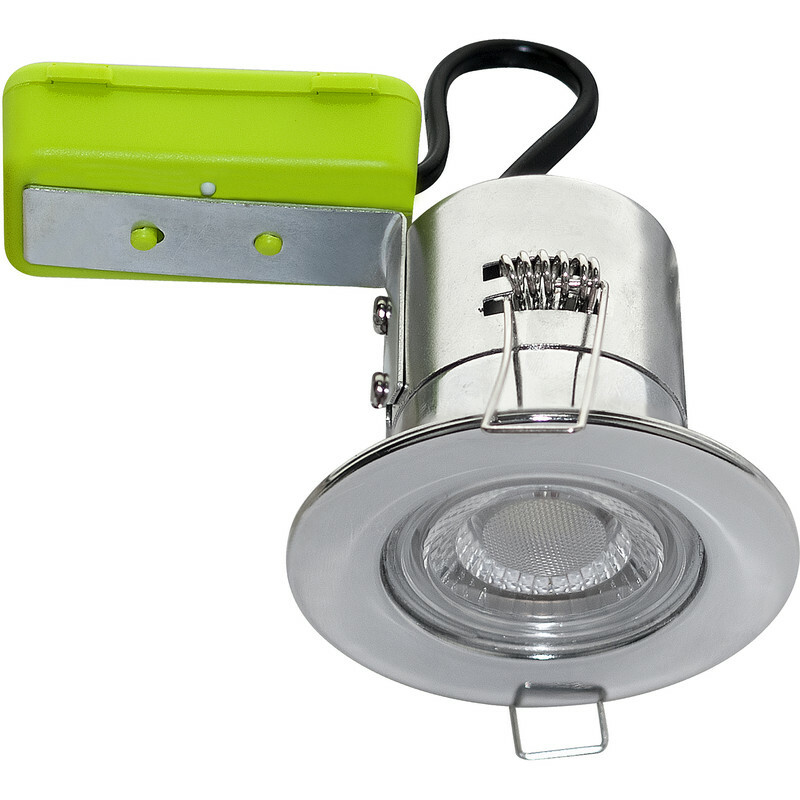 Rated 5 out of 5 by DipsB from Nice downlight Looks good and easy to fit. Rated 4 out of 5 by Cbts2003 from Well made, speed fit connectors don't really help Spec is good, fire rated, IP etc, and with stand fitted can be rolled over with insulation. Good bright light, no buzzing noises or anything like some LED bulbs. Lamps are solid, clipping the green box to the stand is a bit flimsy and liable to fall off wrapped these with tape no big deal. Wire connectors in them are a push fit clip in system. You still have to strip the cable as normal, they seem solid enough but not really reassured by the connectors grip. Wouldn't have taken much more time just to screw regular terminals and be certain the cables are in tight. Rated 4 out of 5 by Rog444 from Good colour rendering I have installed over fifty of these light fittings. I have only had to go back to the same customer twice to replace two with the lense popping out. Rated 3 out of 5 by gh007 from Downlight Chrome Cool White Easy to fit, quality is good. Only one issue, these are neutral white not cool white so have a level of warm white. Purchased 2/2/2019. Rated 1 out of 5 by pwrs from Manufacturing design fault I would not recommend this product as I've found that there is a manufacturing design fault with the plastic lens falling out after approximately 6 months of use. I installed 15 of these in a kitchen, of which 4 of them had this fault. This may have been down to a faulty batch, however I found that both toolstation and luceco were useless in providing me with any useful information or support.